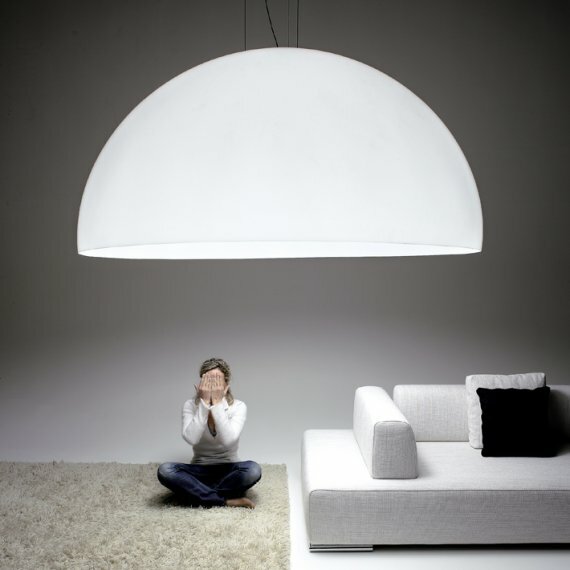 With a diameter of 6 feet (185cm), the Ociu light from Zava certainly makes a statement. Apparently, the word “ociu” means “pay attention,” as if you could ignore something this big. The light is made of methacrylate, commonly known as Plexiglas or acrylic, and besides white, it’s also available in black with a gold or silver leaf interior. Visit the Zava website – here.